After playing in the mud, I think it’s time for Bear to take a bath! How often does my dog need a bath? The short answer, your dog will never NEED a bath, other than for medical reasons. But you may want to bathe your dog after swimming in a lake, rolling in a mud puddle (like Bear in the photo above), or if he just stinks. If you dog is smelly all of the time, he may have a yeast infection. I recommend calling your vet to have him checked out for any medical issues. So we all know every dog is different. But certain breeds may need more frequent baths, dogs that have very oily skin for instance. Other dogs need to keep their natural oils to protect their skin. Daily brushing for long hair dogs helps keep their coats clean and healthy and will help relieve the need for frequent baths. When in doubt, ask your vet for her opinion. In general, it’s recommended to give your dog a bath once a month, and no more than once a week. This is up to your preference, if your dog doesn’t generally get dirty, and doesn’t smell, you can go several months without a bath. During the summer we have been giving our dogs a bath every week after swimming in the lake at our dog park, simply because we don’t want them to smell like lake water. Then in the winter, when they aren’t getting very dirty, we will go for 2 months or so without bathing them. The supplies to bathe your dog are endless. 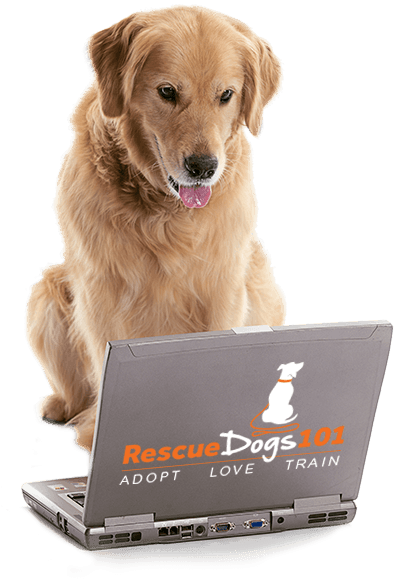 I’ve chosen the best I have personally used and the most popular and highly-rated products recommend by others in the Rescue Dogs 101 Community. Dog Bath Glove – Make it easy to wash and scrub your dogs coat with these gloves. Dog Bath Sprayer – This attaches to your existing shower head to make it easier to rinse your dog in the bathtub. Dog Bath Towel – Quickly dry your pup with these super absorbent towels. For the longest time, we used our bath towels… these dog bath shammy’s will change everything. Dog Bathrobe – Wrapping your dog up in a bathrobe could help him warm and maybe from shaking water all over your bathroom. Dog Bath Scrubber – This attaches to the hose or faucet and releases water while you are scrubbing your dog clean. Dog Bath Tub Sink for Home – Save your back with this elevated bath tub special for your dog. I don’t have one yet, but thinking I need one! I’m just wondering how I’d pick up a 90 lb dog! Dog Bath System – Get an entire kit for making bath time easier. Dog Bath Dryer – Don’t want to wait for your dog to air dry? Human hair dryers get too hot and can burn your dog. Every situation and dog is unique. Your choice of dog bath soap will be different for a dog that has dry skin, allergies, or maybe fleas. Make sure to choose a shampoo that is specifically designed and formulated for dogs. DO NOT use baby shampoo or anything other than something that is made for dogs. Many years ago, we would use our shampoo on our Samoyed. I cringe at that thought now but we live and learn. Avoid dog shampoos that have artificial fragrances, as they can be harmful to your dog’s skin, and trust me, your dog does not want to smell like flowers! Ever notice that your dog rolls around in the grass after a bath? They do this to try and get the clean smell off their bodies! So choosing a little to no fragrance soap is ideal. My favorite shampoo right now is an oatmeal shampoo. Oatmeal is a natural conditioner and this particular shampoo lathers nicely and is easy to rinse out. But if your dog has any yeast infections, do not use oatmeal! We have also used Jax and Daisy shampoo and lotion on our dog Ginger when she was battling her allergies. We’ve since eliminated certain foods which relieve her itching considerably. But if your dog itches a lot, this shampoo is awesome. It’s all natural and really works. We purchased the shampoo and lotion combination but honestly didn’t use the lotion all that much. Bear loves taking a bath. He looks and smells much better without all that mud, don’t you think? If your dog has long hair, brush him thoroughly before giving him a bath. Gather everything you are going to need before taking your dog into the bathtub or outside to the hose. Use only dog specific shampoo. Towels for you and your dog. Treats to reward your dog for being good in the bath. Leash to help control your dog from jumping out of the bath. Getting your dog into the bathtub or close enough to the hose may be a challenge for those with dogs that hate the bath, so lure your dog with treats to the bath. During the winter we use our bathtub, using a hand-held shower head so we can reach all over and under the dog’s body. In the summer when it’s warm outside, we use the outside hose. Stay calm, if you get upset or stressed, your dog will feed off of your energy and hate baths even more. Make bath time fun with treats, a ton of praise and love. Get his entire body/coat wet with water, saving the face for last. Using dog shampoo, apply soap and lather, starting at the neck, working your way down his back, legs and belly area. Wash his face last, as most dogs do not like water in their face. Avoid getting water inside your dog’s ears. If water does get inside the ears, dry them out after his bath with cotton balls. This is the perfect time to be inspecting your dog for ticks, fleas, and abnormalities on his body. Rinse and rinse again. It is very important to get all of the soap out of his coat. If soap is left it could cause irritation to your dog’s skin. When done rinsing, let your dog shake inside the tub. I usually hold up a towel to contain some of the water spraying the entire bathroom… not that this always works, but it helps a little. I just recently started training my dogs to shake on command, I think they’re started to pick it up. Towel dry your dog as much as you can and then let him air-dry the rest of the way. Do not use a human blow dryer on your dog, it can get too hot and burn his skin. They do make blow dryers specifically for dogs. Puppies have unique requirements. You should not give a puppy younger than 6 weeks a full bath. If your puppy is less than 6 weeks old, then use a warm washcloth to wipe them down if needed. Puppies 6 weeks and older can have a full bath, but I recommend only bathing them when necessary. Puppies have natural oils to protect their skin, which can wash away with a bath. It is, however, important to get your puppy used to the process of a bath, the water and getting wet. This will ensure when he gets older he is not afraid of the bath. Using a puppy specific shampoo is also important. This puppy shampoo comes highly recommended. You can use high-value treats to convince your non-bath-loving dog that the bath is not so bad. Bring in a bag of treats and offer a treat every few minutes to get your dogs mind off the terror of the bath. Our yellow lab, Bear, that LOVES the water and taking baths. Bear will even run up the stairs to the bathroom and jump into the tub! Then we have Ginger, our German Shepherd mutt, that loves to go swimming but hates baths! We have to drag or even carry her into the bathtub. Not even treats will amuse her when it comes to bath time. You can condition your dog to like baths if you have the patients. Make bath time fun! I have broken down these steps by days. If your dog doesn’t get stressed, feel free to move onto the next step on the same day. Do not force your dog, and if he is showing any signs of stress, stop and wait for the next day. Day 1: Start by enticing your dog with treats into the room that you will be bathing him. Don’t be afraid to use lots of treats. Walk away and repeat 2-3 times throughout the day. Day 2: Treat your dog for coming into the bathing room, and then entice your dog with treats to enter the bathtub. No water, just the dry tub. Repeat again throughout the day. Day 3: Fill the tub with an inch of water before bringing the dog in. Then repeat the steps from day 2. Day 4: Repeat day 3, and add turning on the water after the dog is in the bathtub. Do not spray him yet, just get him used to the noise of the water running. Day 5: When your dog is comfortable with all these steps, it’s time to give your dog a bath. Don’t be afraid to continue using treats. Occasionally there are circumstances when you need to give your dog a bath without water. If your dog recently had surgery or has been neutered or spayed, they can not have a bath until your vet says it is okay. Or maybe your dog rolled in poop and you need to get to work. Bath wipes are a great for a quick clean up. Dry shampoo can be used for a freshen up between regular baths. A vinegar and lemon juice mix can be sprayed on your dog. Following up with a good brushing, spreading the vinegar and lemon scent through his coat. Use this sparingly, as it could irritate your dogs skin. In fact, I recommend testing a small area on your dog before applying on his entire body. Baking soda can be sprinkled along your dog’s fur and use a towel or brush to rub it in. Some people say this can help with itchy skin, but I’ve never tried it. If you haven’t downloaded our free Dog Health Record printable yet do it NOW! P.S. Leave a comment below to tell me if you struggle giving your dog a bath. I always reply to comments, so let’s start a conversation… it could help someone else with the same problem or question.